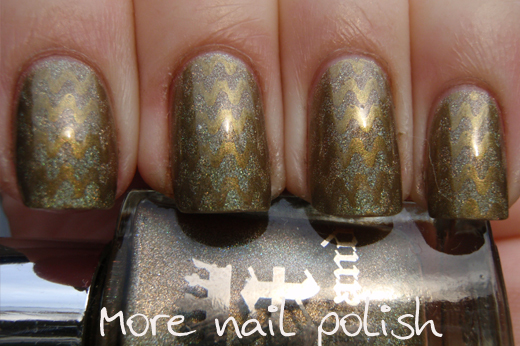 I loved my last subtle stamping effort with an A-England polish, I thought I would try another this week. I chose my untried A-England Princess Sabra (Tristam's Eyes), which really is the perfect cats eye golden green colour, with a light holographic effect. 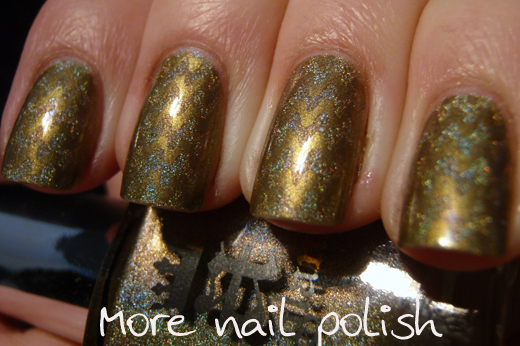 I stamped over it using a really old polish. 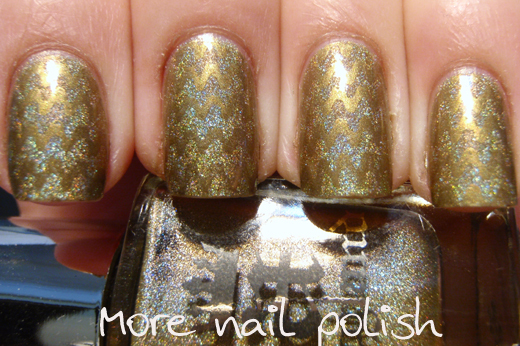 It was one of my Revlon Street Wear polishes called Scheming. It had just the right golden green colour that complimented Princess Sabra (Tristam's Eyes) perfectly. Wondering what that is? Although it looks like some sort of fuzzy grey fur, it's actually the cover to the BBQ on the back verandah where I stand outside to take photos of my nails. 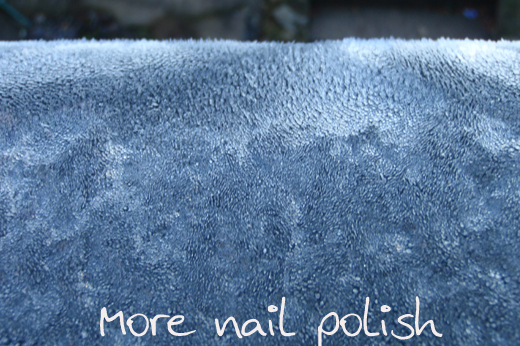 It was a frosty morning today, got down to -5 here last night. Brrrrrrrrrr. But golden nails warm me up. OK, I'm done some reading and can tell you it is XL stamping plate B. And yep, it sure does get cold here - snow on the mountains too. Although Canberra is the coldest Capital, everywhere else is much warmer. Thank you for looking into it! I truly appreciate your effort :). Oh goodness, Canberra winters, how I remember waking up for early school starts and the whole windscreen being covered in frost! OMG... Where do you live?